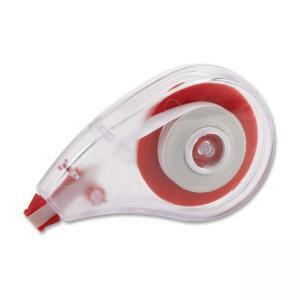 Mini correction tape features a side-apply design for a more natural application on documents. Write, draw and type immediately after application. Transparent side advance unit allows monitoring of usage. Tear-resistant film resists breaking.